Even if someone in Canada consents to donating their organs, their relatives can override those wishes — a practice made possible, two legal experts say, due to a disconnect between the law and policy. An individual's signed consent to donate their organs after death is legally binding. But according to a recent commentary published in the Canadian Medical Association Journal, family members can effectively veto that consent. As part of research into the issue of organ donation shortages in Canada, Maeghan Toews and Timothy Caulfield reviewed the websites of health authorities and donation organizations from a legal and policy perspective. "Under provincial and territorial legislation, there's nothing that allows families to override an individual's consent," Toews told CBC News. "Nevertheless, as a matter of policy, different organ donation organizations and health authorities across the country have indicated that they actually will follow a family's wishes when they conflict with an individual's consent." It's a matter of life or death for many Canadians, Toews said. In reviewing 2015 data from Ontario, the researchers found about 20 per cent of families of registered donors overrode their loved ones' consent. Toews and Caulfield are also gathering similar data from British Columbia and Nova Scotia. Toews would like to see the various policies across Canada align with the law to increase the number of organs available. One donor provides, on average, three to four live-saving organs and as many as eight. She said she would also like to see the critical care and donation communities come together to talk about the issue and to strategize about how to bring policy and practice more in line with the law. Caulfield acknowledged that such conversations can be difficult and that, as researchers, he and Toews aren't the ones dealing face-to-face with a grieving family. "I think it's one of the toughest moments that a person can imagine," Caulfield said. "You have grieving parents, you have family and [there is] the desire to respect their wishes, even in the face of a clear articulation of someone else's desires." But if someone meets the criteria of being a consenting donor, Caulfield said it's something that is necessary to point out to family members through open dialogue. It's also a conversation, he said, that should ideally occur long before medical professionals are involved. "Encouraging people to tell their family members about their wishes is probably the No. 1 thing that should happen." The way in-hospital conversations with families occur is gradually changing and the publication of this commentary will likely increase that pace, said Dr. Sam Shemie, a Montreal-based medical adviser with Canadian Blood Services. The organ donation community is working with policy advisers, ethicists, health lawyers, ICU doctors and the public on how to best honour an individual's wishes both morally and legally. "With the right type of conversation, providing information to families about the decision that's been made, rather than asking for their consent, and informing families in a compassionate way of all the things they need to know to make that decision, [I believe] that this will no longer be a problem except in rare and exceptional cases," he said. And Shemie, who is also a pediatric intensive care physician, said he believes the 20 per cent figure on family vetoes is an overestimate. The majority of families proceed with donation when their loved one was registered, said Ronnie Gavsie, president and CEO of Ontario's Trillium Gift of Life Network. 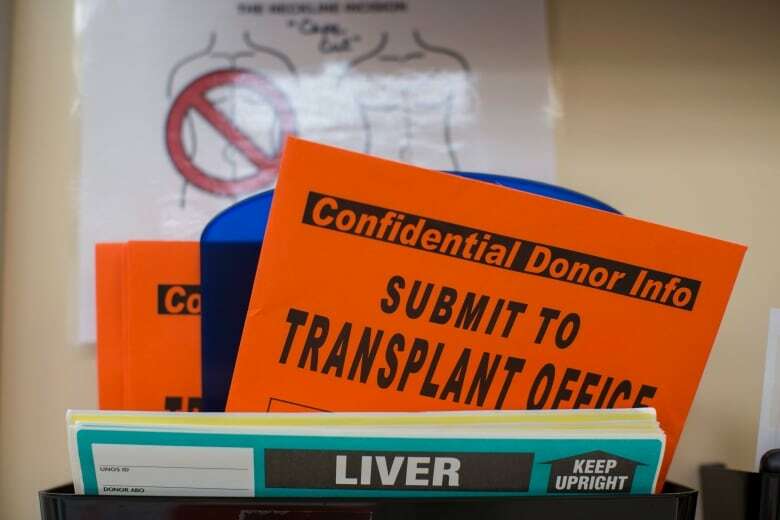 "However, as per the Trillium Gift of Life Network Act, families have the right to share if they believe their loved one might have changed their mind about organ donation, thereby rescinding their loved one's consent," she said via email. Gavsie also noted family co-operation is "very important" to ensuring a successful outcome. "Without information obtained about the potential donor's medical and social history, the likelihood that the donor will be deemed medically suitable and that the organs would be considered by a transplant program significantly decreases." Earlier this week, Saskatchewan Premier Brad Wall waded into the debate when he said his government wants to introduce a presumed consent — or opt out — system for organ donation. Currently, adults in all provinces and territories who want to be donors must opt in by indicating their wishes, typically on a health card, a driver's licence or by registering online. Some suggest switching to an opt-out system will solve the family veto issue, but Toews said studies have shown that's not the case. "The vast majority of opt-out jurisdictions still allow families to have the final say regardless of whether the individual opted out or even expressed a wish to donate. So that's certainly not the solution ... for the family veto problem." The researchers receive funding from Canadian Blood Services and the Canadian National Transplant Research Program.